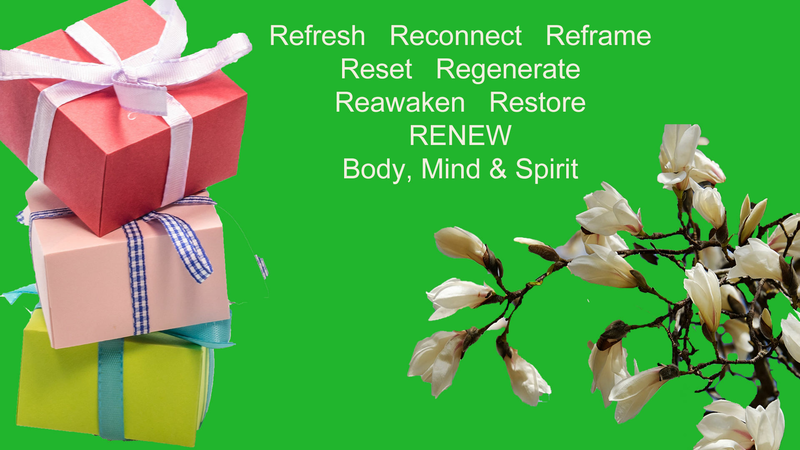 Are you ready to Refresh, Reconnect, Reframe, Reset, Regenerate, Reawaken, Restore & Renew your Body, Mind, & Spirit. Especially designed for women in the 2nd half of life, wanting to do some inner spring cleaning. A group of us have joined together to offer a wonderful diverse package of free gifts as samplings of the work that we do for women's well-being. This event starts Sunday March 24, thru Sunday April 7, 2019.